Gardening on a hill can be quite a challenge, but if you can create multiple levels out of the hill it will be a lot easier. This is a very simple process in theory but it will take a lot of effort in practice. 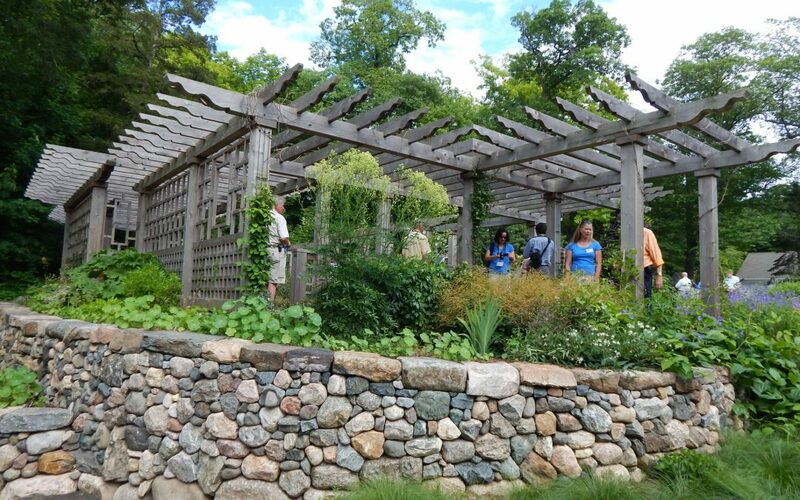 Though you could do this yourself, you might be better off asking a landscape designer like Allen Outdoor Solutions to help you work out where best to put each layer and how to create a flowing garden. You should certainly have a clear plan of what you are going to do before you start working so that you don’t waste your efforts digging! The first thing to do is start planning what you are going to do with your garden. A simple drawing is probably enough to get an idea of what you plan to do. 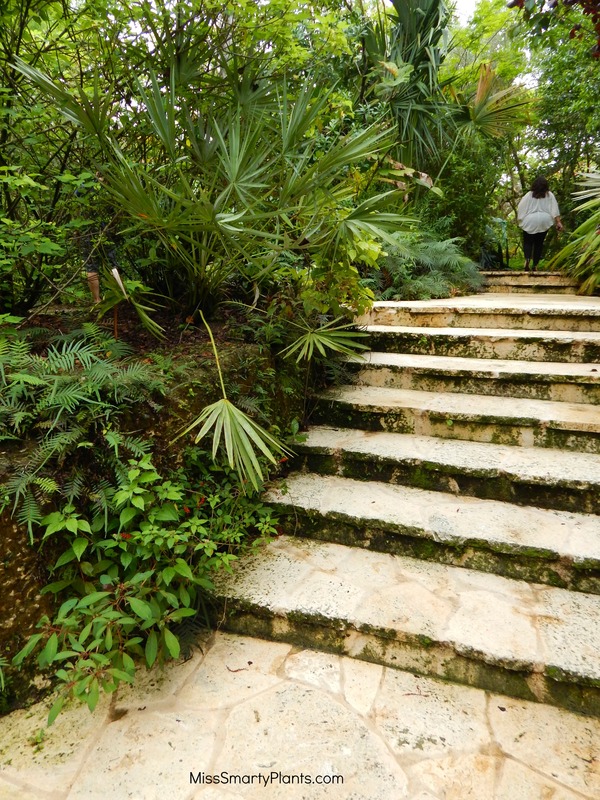 Think about how you would like to move through the space and then where to put steps and paths through the plants and up and down the garden. Once you have decided on your plan can you move on to the actual work. This will take a few days to complete so you should either put a few weekends aside plan for a week of work. Once you have the structure of your garden complete, you can move on to planting and adding the finishing touches to your space. Before you start, try using string to mark out where you are going to create each layer. This will help you to determine how deep each layer will be: too thick and you will struggle to reach the back of the bed but too thin and your garden will look chaotic. It might be a good idea to vary the layers slightly to create some movement in the layout. If you already have some ideas about which plants you want to use in your garden, you should make sure that your levels are deep enough to accommodate them. So, if you have a tree you would like to plant, make sure that you allow enough room for the roots to grow without interfering with the retaining walls you plan to build. Think about creating a level where you can sit and enjoy the sunshine. Plan out this level so that you have enough space for some outdoor seating if possible and consider adding either some paving or gravel to make sure that you can use this space even when the ground is wet. Whether you start at the top and work down or start at the bottom of the garden and work up is entirely up to you. However, starting at the top does have the advantage that you won’t be climbing over the work you have just done to get there. Either way, you will have to work with the slope as you remove excess soil or add topsoil and fertiliser to each layer. Start by clearing the garden as it is at the moment. Get rid of any old plants that might have built up over years of neglect but do keep hold of any plants that you still like by digging up the roots carefully and transferring them to pots temporarily. This way they won’t get damaged by accident and can be put back when you are ready. Next, you should dig the footings for your wall. This is what will support the wall you build to retain the soil so it needs to be a good depth. Once you have the right depth, pour in your concrete to create a solid base. This needs to be left for 12 hours to set before you can start building your wall on top. Once footings are in place and fully set, you can start building your wall. You can use any type of stone, just make sure that you use the right consistency of mortar so that it holds together strongly. You can also go for any style, whether you prefer clean straight lines or a more rustic feel – either will look lovely in your garden. All gardens should have some water whether it is a small feature or a running stream. Water is one of the most calming sounds on earth and it is great for attracting animals to your garden too. With a multilevel garden, you have the perfect opportunity to add waterfalls pouring from each level and down the garden. Plan your water feature before you start digging and building retaining walls, but if you already have done this then don’t worry – it’s not too late! Essentially, you are looking to construct a large staircase with a pool at either end and a pump to send the water back up the hill. This means that even if you have already put the layers in, you can still make your stream and waterfalls quite easily. There are all sorts of styles of water feature that you could go for. One of the easiest ways to change the way that the water flows is by using different sized rocks. Large rocks will naturally mean a longer waterfall, where smaller rocks and gravel will create more of a babbling brook effect. Use flat and squared stones to create a more defined architectural look of a pool. This can look fabulous in a modern or minimalist garden style though it can take a lot more maintenance. How you plant your levels will make a big difference to the way it looks. More dense planting will disguise and soften the layers whereas thinner and more decisive planting will define each layer individually. What you choose to do is really down to your own personal taste and how you like to garden. If you are a fan of neat lines and order then it will be clear that softening the layers won’t be for you. Think about the height each plant will grow to and plant accordingly. 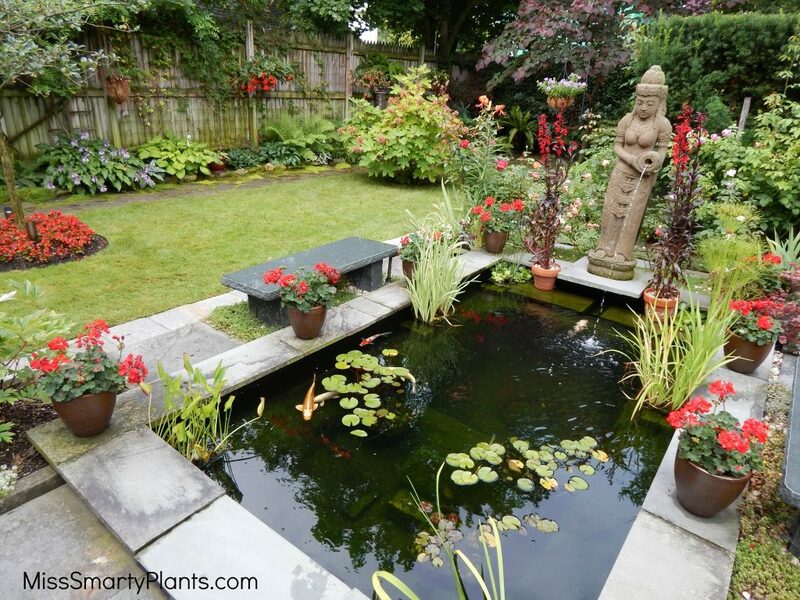 The great advantage here is that you can put smaller plants and flowers at the front of each level so that you can see them throughout the garden. This is great for injecting bursts of color into the garden, especially if you like formal gardening with symmetrical layers. Though you might think you can’t use trees, they are actually a great way to link the layers up and draw the eye to the top of the garden. On the other hand, trees like Japanese Maples (also known as acers) are a great way to draw the eye down the layers as they stoop over the level. They are wonderful trees to grow and can bring a shock of color in almost every season depending on the variety. Just like any other garden, you should always be looking for ways to draw the eye around the space and find points of focus. Just as you may have varied the size and proportions of your levels to create interest, so you should vary the size and shape of the plants you go for. Texture is always one of the most important things to think of in design terms and in plants, this is essentially the type of flowers and leaves you choose. Creating a multilevel garden is a lot of hard work initially but once you have the layers in place, it is actually easier to maintain than your old hill. You might like to put a sprinkler system in place while your garden is still young to make it even easier to manage over the years, especially in the summertime. Once the main features of the multilevel garden all in place, it will be much easier for you to add in the smaller details like outdoor lighting and annual plants and flowers. This is your time to make the most of the space you have by gardening on these more manageable flat areas.